Dead Baseball Bat: How to Tell If Your Bat is Dead? A time will come when your $350 bat will not be as good as it is right now. 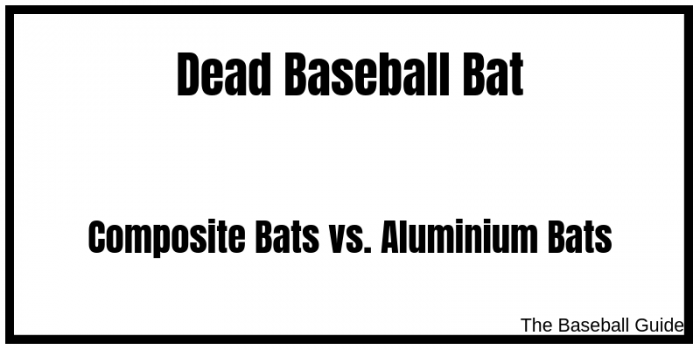 After some time, performance decreases of baseball bats, and then we start calling them as dead bats. Let’s learn about the dead baseball bats in detail, and when is the right time to move from your old bat to the new one. What is a Dead Bat in Baseball? How to Tell If a Baseball Bat is Dead? Do Composite Bats Go Dead? 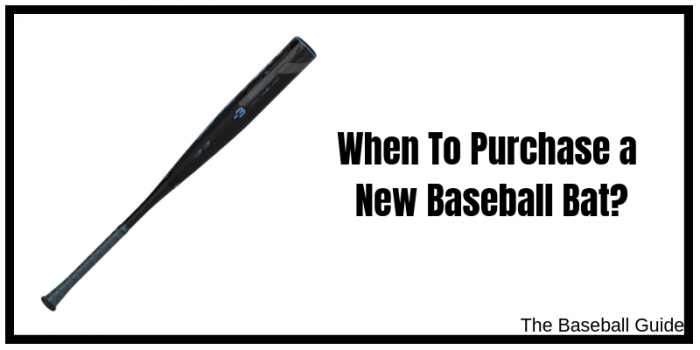 When Should You Replace Your Old Bat with a New Bat? 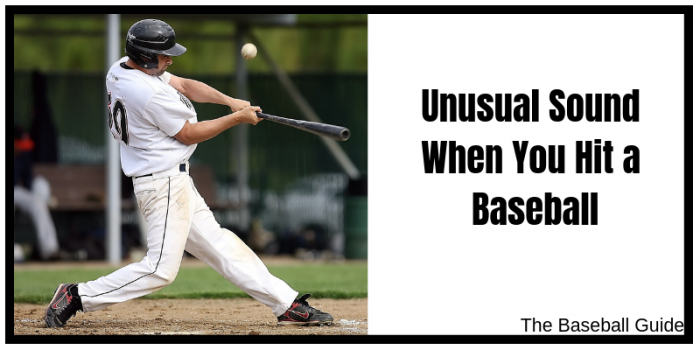 A lot of players face a dead baseball bat situation but they don’t know the meaning of it. From my experience, when the bat lost its power and doesn’t have as much pop as it used to then it is called Dead Bat. Such bats do not make good contact with the balls. Whether your bat is dead or not, first you need to consider the material of your bat. Usually composite bats crack and aluminum alloy bats dent. The composite bat is said to be dead if there will be a massive crack which split the bat in half. Most of the time you can find hairline fractures, spiral fractures or stress cracks in these types of bats. Small cracks in these bats can have a huge negative impact or none at all. It varies from case to case. The composite material is said to be dead about the structure or peak performance if you find a spider web fracture in it. The greater the trampoline effect, the more fibers that are broken down and bigger the bounce off the bat is. When the web turns into a crack, it eventually fails. If you notice the paint is falling off the barrel that does not mean your bat is dead. You will not see cracks or fractures of any kind in this type of bats due to the construction because usually aluminum bats dent. When alloy bats go dead, you will notice significant dents in parts of the bat where it will start to concave. You can find these dents by running your hand across the barrel. If you find an indentation and it is not smooth either then that will have a bad impact on the performance and may be the beginning of the bat is gone dead. This is one of the best ways to tell if your bat is dead or not. There are no two bats that sound alike and all bats sound different from each other. The best person can tell about your bat’s condition by hearing sounds of it is you because you heard the sound of your bat from the beginning. Sometimes, you’ll even notice that a composite bat can change sounds over time as it starts to break-in. We have even heard of the tried and true method of holding your bat by the barrel and tapping the knob on the ground. You can hear a dull thud sound if a bat is dead. If the bat makes a normal, high-pitched ping then you can say that it is not dead. It is never a good idea to hit your knob on the ground so the team at JustBats does not necessarily recommend using this method. Speaking of sounds, does your bat have a rattle when you shake it? Even if it does, this doesn’t always mean that your bat is dead. You can say Baseball is very much a mental sport. Some players declare that their bat is dead in the middle of a bad hitting slump, feel some painful negative feedback. Or, if a player has his teammates, coaches, and parents chirping in his ear that his bat may be dead, he or she is going to assume that it is dead. Many people accused the bats falsely of being dead and are just not being hit in the sweet spot. They need to do practice to improve their hitting skills, and then think about whether their bat is really dead or not. In case of hitting the ball on the handle or off the end cap, most bats will perform as if it was dead but that does not mean that it is. 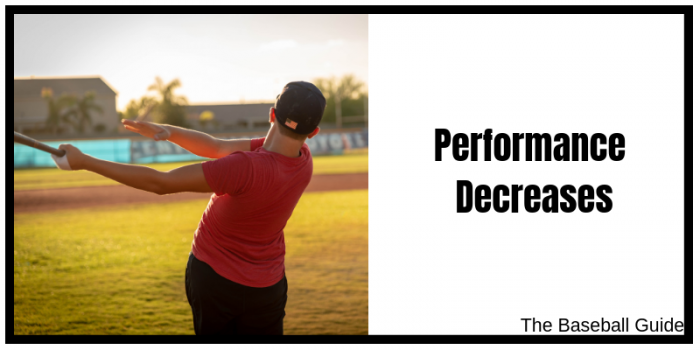 Now, if you are certain that you’re drilling the sweet spot during each at-bat yet still experience serious sting in the hands, your bat may be on a downward decline towards death. Often composite bats do require a break-in period. It recommends about 150-200 swings off of a tee or by hand toss with a quarter rotation after each swing. Then, once you have completed those initial 150+ swings, hopefully, the barrel of your composite bat should be broken in. Don’t automatically assume that the bat is dead if you’re not impressed with the performance of your composite bat. Before jumping to conclusions break it in, use it in batting practice in a cage, and then use it in practice. 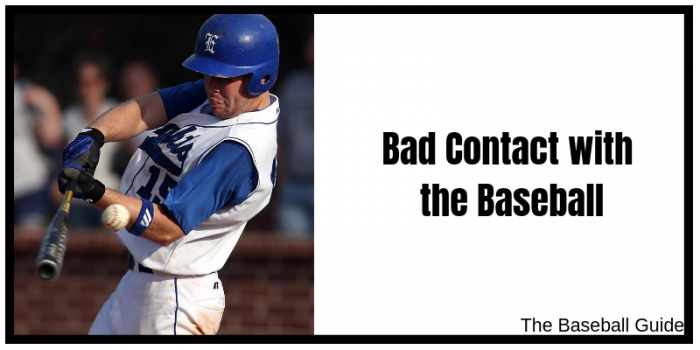 After trying this, you may have a legitimate cause for concern, if you have broken in your bat, experienced it at full power, and are now noticing a huge decline in ball flight on contact. Now, if you know that your bat is fully broken in but the pop is starting to decline then your bat may be dead or well on its way. Unfortunately, most bats do lose their pop in time with enough use. All bats have a limited life and it all depends upon hitting a hard object with another solid object. They are two-piece constructions made up of a handle and a barrel that is brought together by a connection piece in most of the composite bats. The connection piece may fail on rare occasions and you will notice the handle starting to creep up into the barrel. If you find this problem and you’re covered by a warranty by that time, then get it replaced immediately. If you don’t do this then your bat will be completely dead soon. You can say the composite bat goes dead in the worst case scenario when there will be a massive crack in it which split the bat in half. Usually, the people assume the bat dead when they hear the difference in the sound of the bat. Most of the cases they could not hit in the sweet spot and blame the bat’s performance. In compare with an aluminum bat, a composite bat is lighter than an aluminum bat and great in swinging. So composite bats do not usually go dead and the life span of this bat depends upon the use of it. It is recommended that you should go over your bat thoroughly and check for any excessive wear or damage at least once a year and approximately every three months for an oil or natural bat. If you have metal and/or composite bats then you should replace them approximately every two years assuming normal usage. If you feel like your current bat is dead and you need to purchase a new one, then you should take all the information about the top-performing bats in the current year. So that, you’ll get the best bat. You can wash your wood baseball bat with alcohol because Alcohol will get rid of any dirt or other build up that makes its way onto your bat during game-play. A clean bat fortifies a great grip for hitting and do not clean your metal cleats with your bat. You should keep the bat in a cool, dry place. Don’t let the bat come in contact with wet surfaces. Keep your baseball bat dent-free and fix the bat if it has any fractures. Keep the bat an upright position at all times. Do not share your bat with every teammate. Limit it to individual use, if possible. You must avoid using your bat in temperatures below 60 degrees Fahrenheit. Your bat should be kept out of extreme hot or cold temperature areas. While batting use regulation baseballs or softballs only. Waterlogged balls should not be hit by the bat and If possible rotate your bat a quarter of a turn after each swing. End-Loaded vs. Balanced Baseball Bat: Which Bat Should You Buy?